Vietnam War. There are also books listed about spy-catching in World War II and the Italian Campaign. The character George, like the playwright's father, served in the Counter Intelligence Corps in Italy during World War II. He was American born to an immigrant mother of Waldensian ancestry and he lived on and off as a child with his grandparents in the Waldensian valleys of Northern Italy. He was proud of his heritage and it influenced his morality. The C.I.C. has sometimes been called America's secret army. Established in 1917 as the intelligence branch of the U.S. Army during Word War I, it was then called the Corps of Intelligence Police (C.I.P.) and was charged with two major functions: first to catch enemy spies and saboteurs and second to prevent leaks to the enemy of the military's secret plans. The organization started with 50 men and grew to 350 during the great war, with 250 remaining in the U.S. to investigate the immigrant population. The Corps dwindled to only six agents and a dog in 1920, due to the country's strong isolationist sentiment. In 1933 it had only 15 agents. Thus, the U.S. faced a massive security and intelligence crises just before WWII. In December 1940, the Corps was authorized to increase to a strength of 500 and was renamed The Counter Intelligence Corps (C.I.C.) in 1942. It grew to 5,000 members at its height during World War II. The C.I.C. 's exploits and successes during World War II are often mistakenly attributed to the O.S.S. (Office of Strategic Services.) Indeed, during the early years of the war, even many Army officers had not heard of the organization and were baffled when a C.I.C. special agent, wearing no insignia on his uniform, gave them orders. The C.I.C. should be credited for many of the war's strategic successes, such as maintaining the tight security around the D-Day operation in France, preventing secrets of the Manhattan Project from leaking, stopping numerous acts of sabotage upon the Allies in Italy, France adn the Pacific, and rounding up suspected enemy agents left behind in each village and town and city liberated by the Allies from the Germans and Japanese. The C.I.C. were indeed the war's unsung heroes. A corps of highly educated individuals of high integrity, all with college degrees and many with higher degrees, they were skilled linguists and investigators. Being intellectuals, many were not physically strong, but they endured basic training and were often sent into the fray with the invading army, the aim to secure the enemy's secret documents before they could be destroyed and to arrest members of the Fascist or Nazi party. They sometimes found themselves ahead of combat units or behind enemy lines. A group of C.I.C. agents landed with the infantry on the beachhead in Salerno and lived in foxholes while being bombarded by German guns before attaining Naples. Likewise, did they land in Normandy. The C.I.C. is not to be confused with the C.I.A., which it predated. (The C.I.C. 's job was to catch spies -- the C.I.A. 's to run them.) C.I.C. served with valor and distinction as America's only functioning overt intelligence agency in more than 60 countries during America's three great wars: World War I, World War II, and the Korean War. The Allied campaign in Italy is often overshadowed by the compaign in France and the Normandy invasion, however, it was equally as bloody and dramatic. 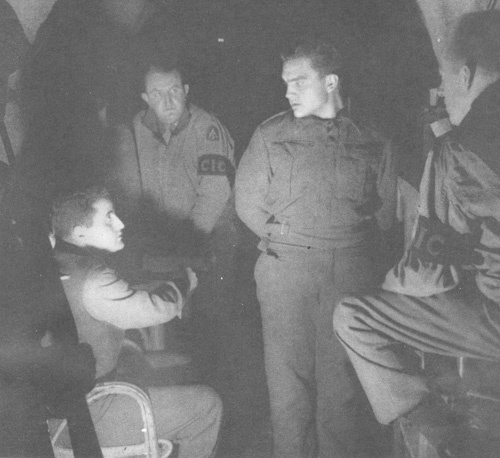 Italy served as the training and proving ground for many of the officers and generals, including Paton and Eisenhower, who became famous for their exploits in France and Germany. Italy was plunged into World War II in 1940 when dictator Benito Mussolini and King Victor Emmanuel III declared war on Britain and France, joining the Axis. After 21 years of fascist rule by Mussolini, and three disastrous years of World War II, during which the ill-prepared Italian Army suffered great loses, the King arrested Mussolini and appointed Field Marshal Pietro Badoglio as head of the government on July 25, 1943. The king hoped to negotiate a separate armistice with the Allies. Badoglio had no political experience and proved to be an inept and catastrophic leader. Italy signed an armistice with the Allies on September 8, 1943, however, Badoglio failed to follow through with plans for the Italian Army to fight alongside the Allies against the Germans. In fact, most of the Italian Army disbanded or were captured by the Germans and sent to slave labor camps. Once the armistice was signed, Germany became Italy's enemy and additional German soldiers poured over the Brenner Pass into northern Italy. Hitler reinstated Mussolini as a puppet government in northern Italy. Germans now occupied the entire country and German generals sought revenge for the Italian betrayal and showed the population no mercy. They began rounding up Italian Jews and Jewish refugees, whom the Italian population and government had managed to protect up to that point, and sent them to concentration camps. The day the armistice was announced, Americans landed on the beachhead at Salerno, south of Naples, but they did not take the Germans by surprise and a bloody battle ensued. The Allies gradually beat back the Germans to a line south of Rome during the winter of 1943-1944 and to a line south of Florence in the winter of 1944-45. Northern Italy suffered terribly under the occupation by their former Ally, now their brutal enemy. 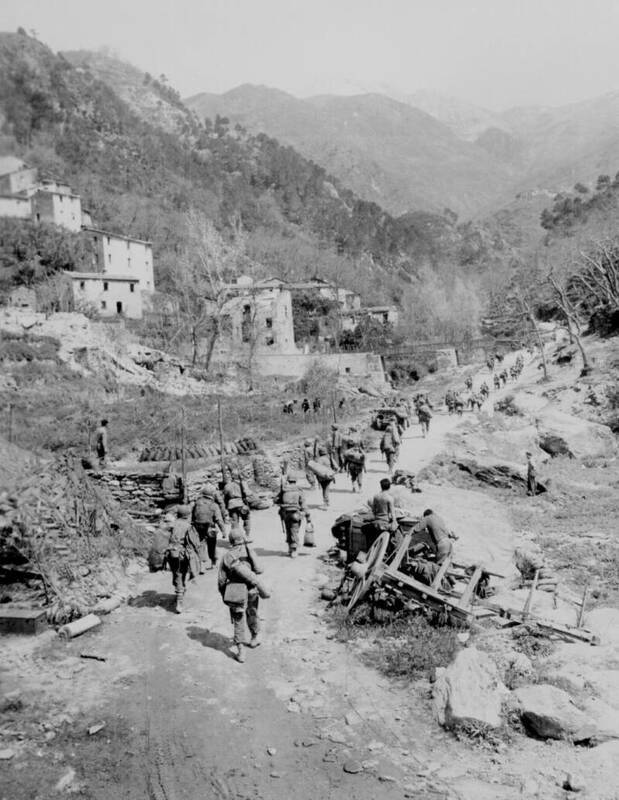 As the Allies (mostly American and British troops) advanced and pushed back the Germans in bloody warfare, Italy was still occupied, this time albeit by a friendly force, but nevertheless by foreign soldiers. Many people were cut off from their homes and became refugees in their own country, and food and goods were scarce, especially in the south. 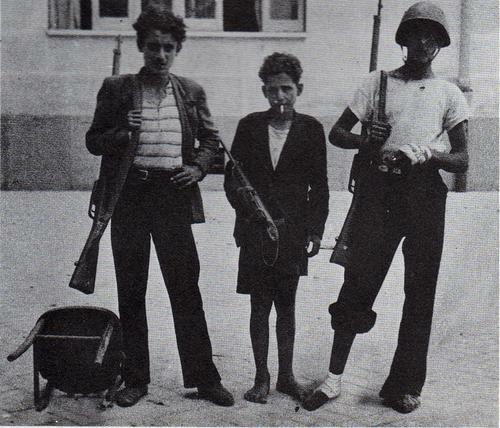 Italian fascists and opportunists became spies and sabotage agents for the Germans. Recruited and trained by the Germans, they gathered information about Allied operations in the south and delivered it to the Germans in the north. Many agents simply remained behind in Allied-controlled areas after the Germans were ousted; others parachuted in or crossed the line as would-be refugees. Spies often had short-wave radios to send information back or were directed to explosives caches buried by the fleeing German Army. During the winter of 1944-1945, so many German agents crossed the line that it was termed "Spy Highway" by the C.I.C.. The Allies supported the numerous resistance and partisan groups, most of which, but not all, were communists, by supplying food, arms and intelligence. In turn, the Partisans were decisive in retaking Genoa, Turin and Milan and in bringing the war in Italy to its end in May, 1945. However, in so doing, the Partisans brought down the ire of the German commanders on the population. The Germans burned entire villages and executed anyone thought to be harboring Partisans or Jews. Some believe the Waldensian's religion represents an unbroken line of Christian practice originating around the year 300 or even from the Apostles. There is evidence of non-Catholic Christians living in the Piedmont of the Cottian Alps during those periods. Most historians, however, believe the Waldensian movement began in Lyon, France, around 1170-1180 and predates the Protestant Reformation of Calvin and Luther by about 350 years. A wealthy French merchant by the name of Peter Valdo experienced a religious crisis and took to heart the biblical passage to sell all and give to the poor. Valdo criticized the power, elitism and riches of the Catholic Church and wanted to bring the gospel and religious services directly to the common people in the vernacular, rather than in the Latin of the Catholic mass. He paid to have the Bible translated so he could read it himself, and then he began to preach. The Catholic Church would not allow Valdo to preach without being ordained. He responded that he believed he should obey God rather than men. Valdo continued to preach secretly in private homes as did his followers. The Waldensian movement spread in France and Switzerland, and in what is now Italy and the Czech Republic and Slovakia. Women were considered equal to men. In the early development of the Waldensian faith, followers met in private homes and women could conduct prayer meetings. 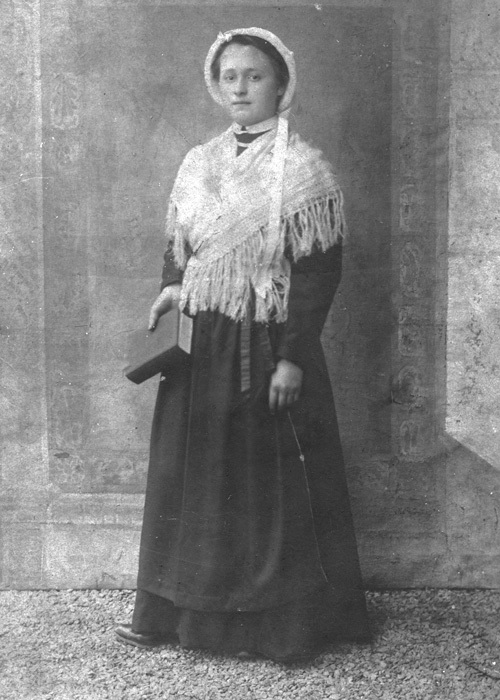 Members translated the Bible into the vernacular and often learned it by heart; some became itinerant preachers posing as merchants, and recited the scriptures to the illiterate. The Waldensians, labeled heretics, were persecuted and tortured almost incessantly throughout history because they refused to attend mass and possessed Bibles. During the Inquisition from the late 13th century to the end of the 17th century, entire Waldensian villages were destroyed and the villagers slaughtered, improsioned, or left to die exposed to the winter in the Alps. Many of those who escaped returned to rebuild their homes when the political climate changed. The most famous atrocity occurred in 1655, when the Waldensians were brutally massacred in the Piedmont Valleys of Savoy (now Italy) on Easter Sunday. This day of slaughter became known as Bloody Easter. At that time, Joshue Janavel lead the Waldensians’ fight against the royal soldiers in one of the Lucern Valley, sucessfully holding off tens of thousands of soldiers with only 30 Waldensian men for three days. However, Janavel and his men ultimately flee to Switzerland and the residents of the Waldensian Valleys who refused to abjure their faith were slaughtered. The poet John Milton, who was then Cromwell's secretary, wrote a famous sonnet denouncing this massacre of the Waldensians. In 1686, the Waldensians who had repopulated the valleys were driven out once again. Most fled to Switzerland, but they soon began planning their return home. In 1689, the Duke of Savoy made an alliance with the Protestants and Waldensians, which prompted the Waldensians to fight their way home over the Alps to their Piedmont valleys in a long march they called Le Grand Retour (The Glorious Return). Napoleon granted religious freedom to the Waldensians in France, and the Italian Revolution in 1848 finally brought religious freedom to the Italian Waldensians. 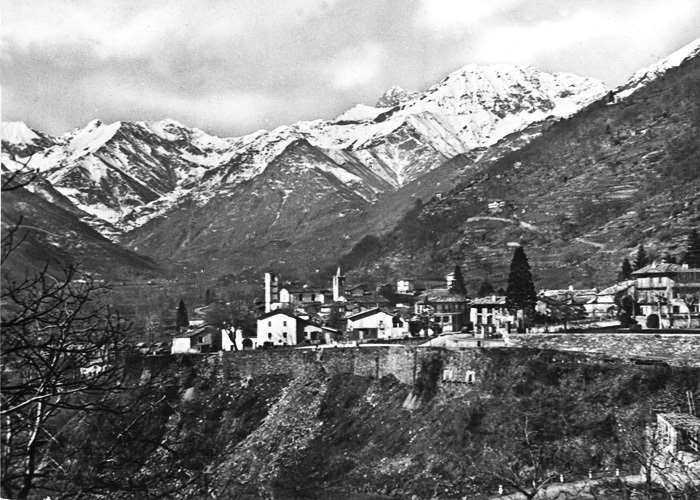 The resistance to Mussolini began in the Waldensian valleys of the Cottian Alps and many Waldensian boys and men joined the Resistance as fighters. 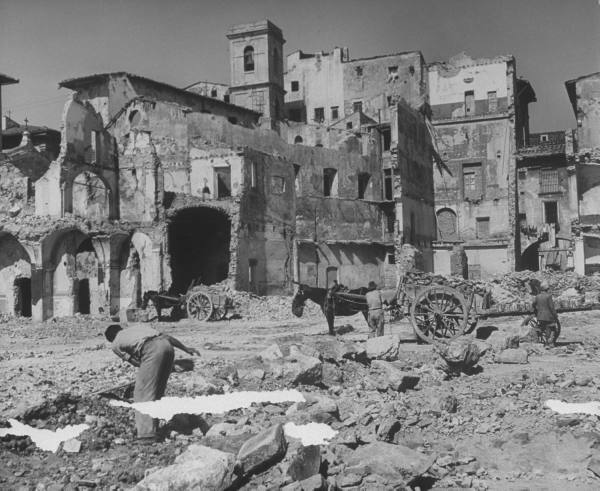 The last battles in Italy occured in this region and the Germans carried out particularly harsh retributions there, slaughering the families of suspected Partisan soldiers and burning their houses; they also hung or shot Partisans or those suspected of aiding them in public executions. Belief in God's mercy and salvation through good works is the foundation of Waldensian religious teaching. In the Middle Ages, they were pacifists, however, fiercely independant, they have fought when necessary. Contemporary Waldensians are not officially pacifists but often join pacifist and environmentalist movements and believe in social service and ecumenical goals. Presently, there are approximately 25,000 Waldensians in Italy, where French is still the language they speak at home, and another 6,000 worldwide living mostly in communities in North Carolina, Argentina, Uruguay, and Switzerland. "There is no contradiction between hating war and honoring the soldier."